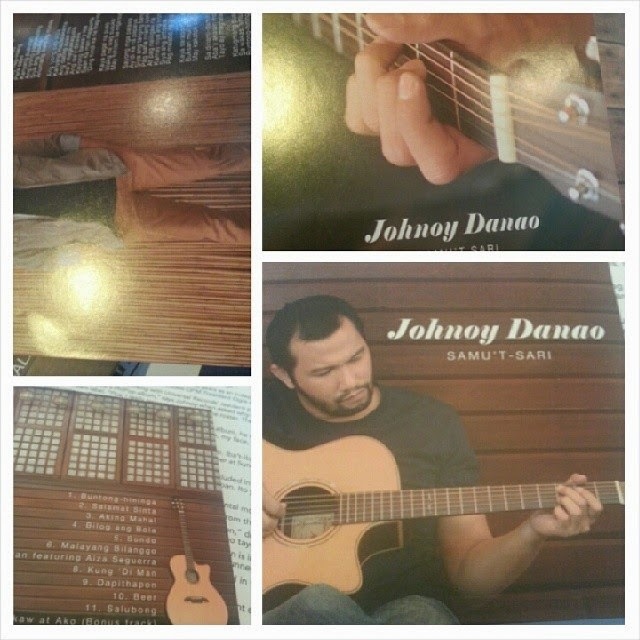 It wasn't a big deal for Johnoy Danao moving from being indie to mainstream. As long as he reaches his audience and as long as he enjoys his music, Johnoy Danao will keep on playing his guitar and singing his songs. Universal Records Philippines launched his first album "Samu't Sari" with the bloggers yesterday and shared his thoughts on the music he enjoys today. He called himself a "Walking Store", bringing his CDs wherever he goes and now he can be reached by fans worldwide as he releases his first mainstream album under Universal Records. His music became a familiar sound after that trending MMK episode about HIV-AIDS ("Pulang Laso") singing the soundtrack "Ikaw At Ako" (a bonus track in his album). I've met him the first time at The Reunion movie soundtrack launch ( a movie tribute to Eraserheads) singing "Pare Ko".It was Universal Records' resident producer Ito Rapadas who convinced him to create his first mainstream album. 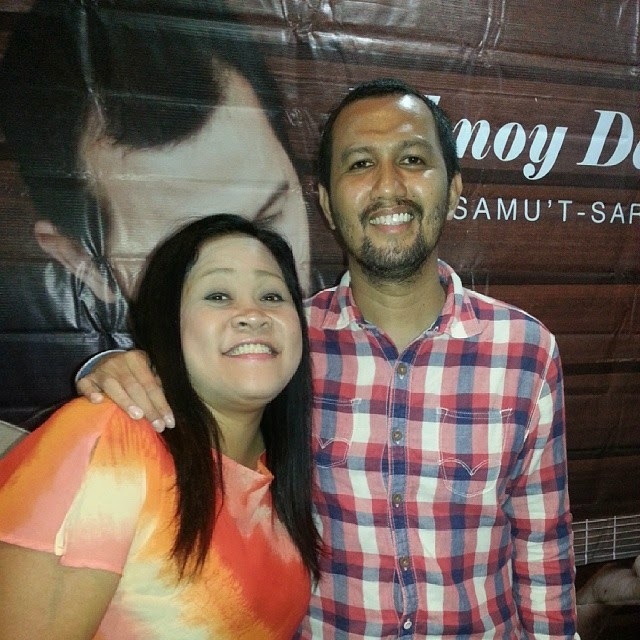 All Filipino songs, "Samu't Sari" includes his famous original compositions and pop standard covers, "Buntong-Hininga", "Salamat Sinta", "Aking Mahal", "Bilog ang Bola", "Sundo", "Malayang Bilanggo", "Bakuran (featuring Aiza Seguerra)", "Kung Di Man", "Beer", "Salubong" and "Ikaw At Ako" (bonus track). He was happy about "Kung Di Man", notable 2013 Philpop's 1st runner-up interpreted by Ney Dimaculangan. His favorites include Buntong-Hininga and Bakuran with Aiza Seguerra with feel-good lyrics that anyone can adopt as a daily dose of inspiration. I was also interested with Bakuran which is a song best expressed by those who experience being "friendzoned".